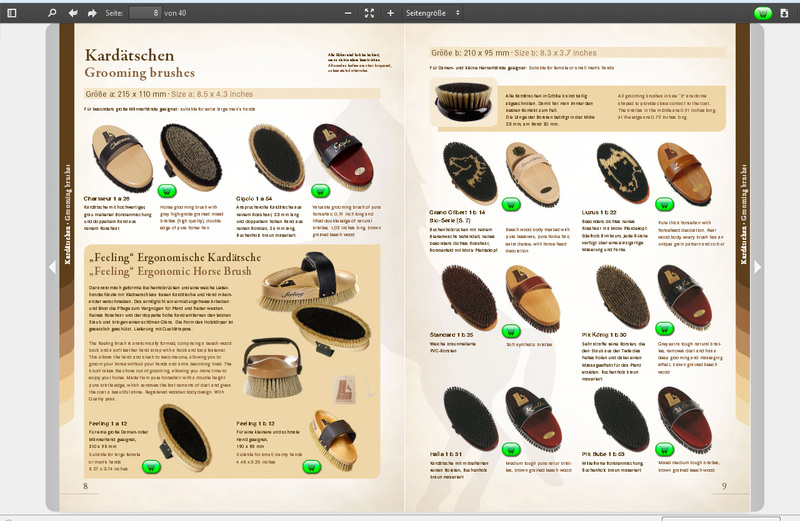 We will use the words flipbook or online flipping book synonymous to flip page catalogue or to epaper. A flipbook will convert your pdf file to an online version which has page turn effects. Your uploaded pdf file will be converted into a highest quality online flipbook. You can test the flipbook as long as you want to do. Immediately after uploading you will receive a link which you can open on all devices like PCs, tablets or smartphones. If you are viewing this homepage, you probably know of the advantages of a online flipbook. 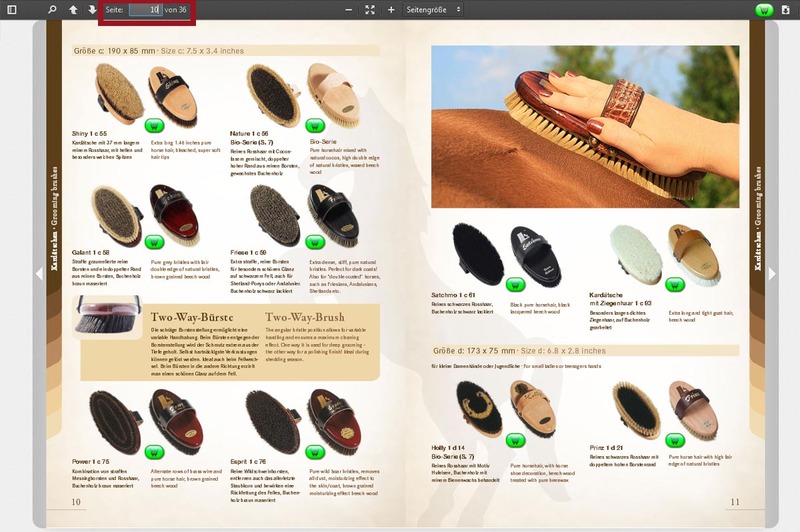 If you want to view a pdf file you don't have to download it first and open it in a viewing application but you can start viewing the flipbook immediately on your homepage. Our service will provide you a free demo without registering before. You can create your flipbook immediately - the link to the demo will be sent by email. If you are satisfied with our flipbook maker you can answer to our email to order a license. Or you can contact us by also by phone, fax or contact form. 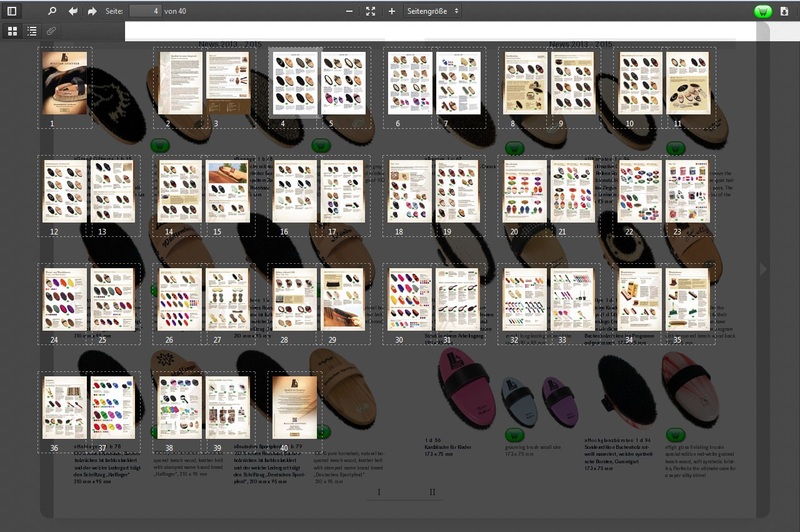 We also can convert your Adobe InDesign file to an online flipbook. Also illustrations and engineering drawings will be displayed with maximum quality without converting them to bitmaps first. Furthermore the picture quality of the PDF file will be preserved. One of its outstanding nature of our html5 flipbook solution is its high compatibility with end user devices. 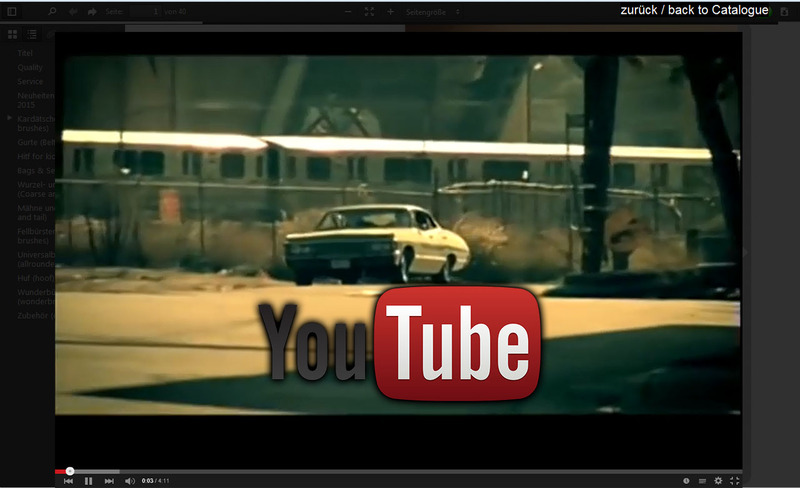 Your flipbook graphical user interface will look identically on all desktop PCs, notebooks, tablets and smartphones. The features are available on all kind of devices. 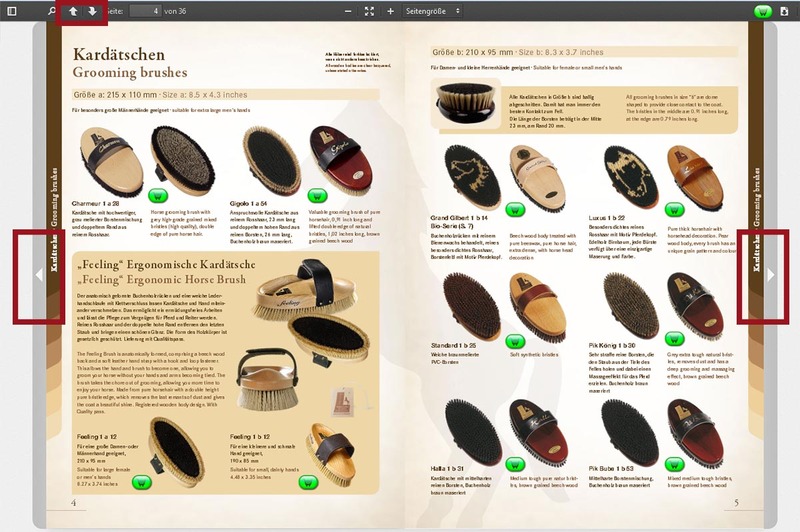 If you own a webshop then you can connect it directly to the flipbook. 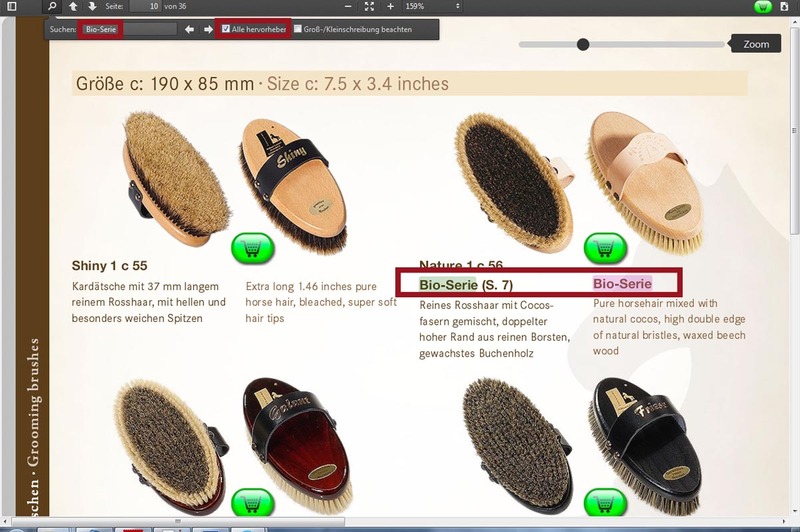 Your webshop with the corresponding article will open if you click on a buy button (or article number) inside the online flipbook. 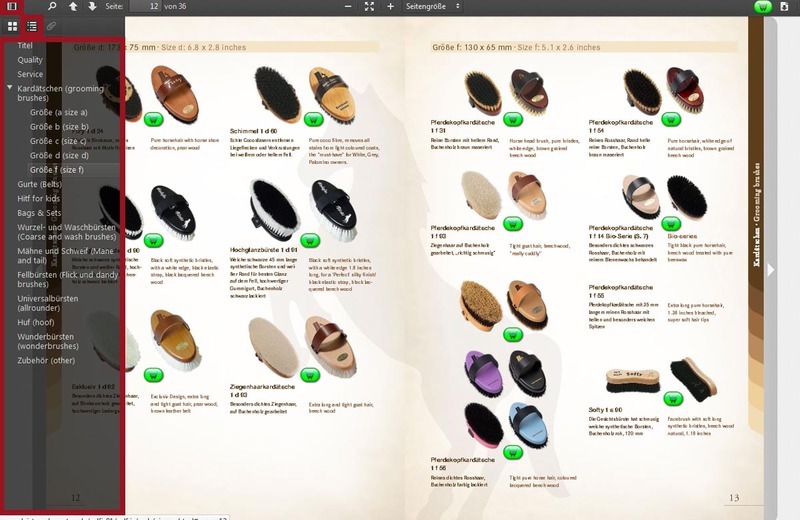 The webshop will appear in a new tab or inside a shadow box. If you use a shadow box it will be very user friendly in our opinion. 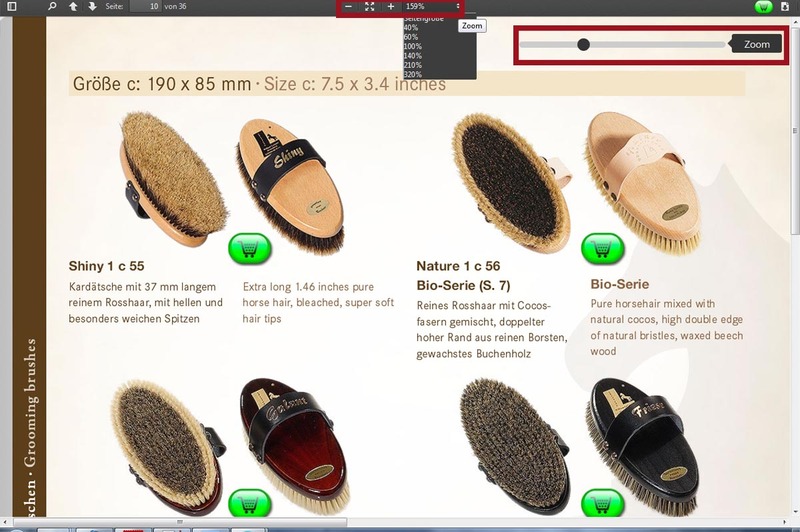 The user can switch between the flipbook and your webshop without switching between tabs. This is the best solution on tablets and smartphones. You can turn pages of your flipbook with buttons, swipe gesture or with keyboard arrow keys. By entering a page number you can go to a specific section directly. You can create bookmarks in your browser. The bookmarked page will be opened if you call the bookmark. You also can navigate with the browser history. You can select and copy text. This feature offer only a few online flipbook generation services. 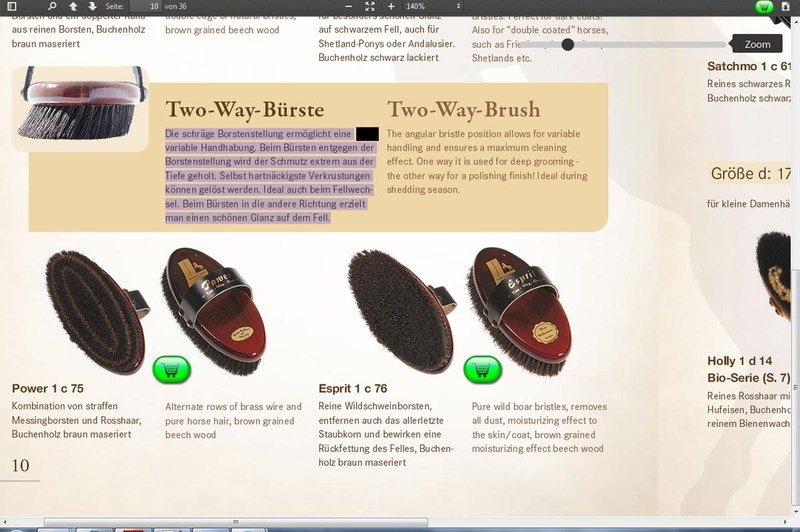 Zooming in and out is one of the important features. You can switch between the "zoom-mode" and "full-page-mode" while clicking on a free area or picture or by doubletap on a tablet. If you are inside the zoom-mode a range slider occurs on the right top corner. The last zoom value is stored while switching between the modes. You also can adjust the zoom with your mouse wheel or by clicking on plus or minus symbol. Of course you can drag the visible area with mouse or touchscreen. Pinch-to-zoom is available. 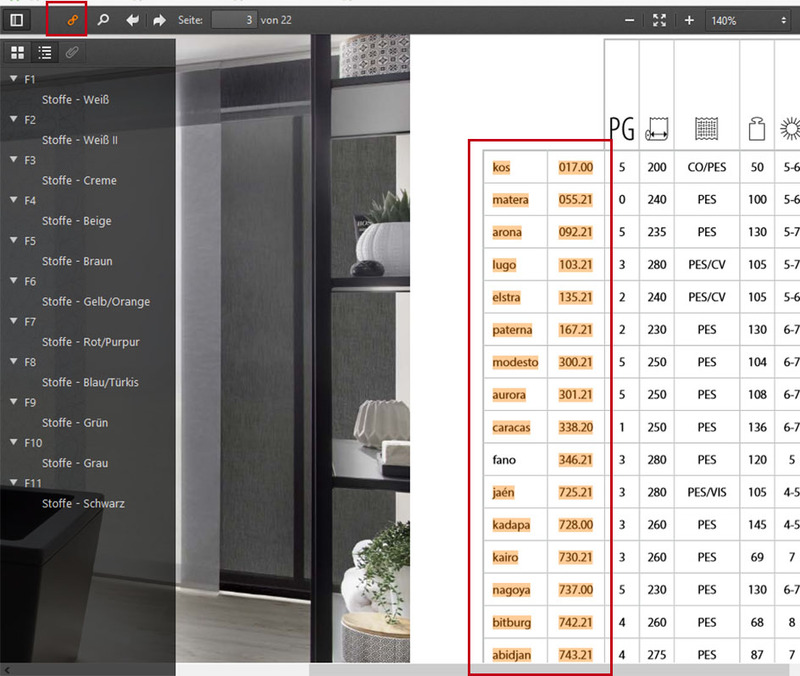 You can use the full-ext search also with epapers with large number of pages incredibly fast. You can use a case sensitiv search as well. The outline can be fade in. It can consist of several levels. The thumbnail view of the pages can be fade in and can be scrolled. With a klick on the cart button the shopping cart will be loaded inside the shadow box or a new window. By clicking on the download button you can download the epaper pdf file. 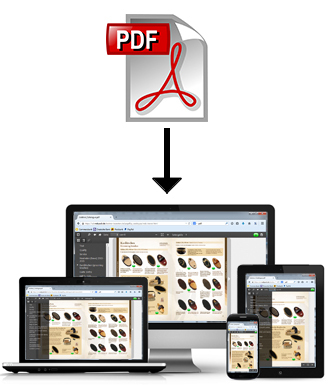 NEW: you can download single pages as pdf file. By clicking on upload you acknowledge our business terms AGBs.